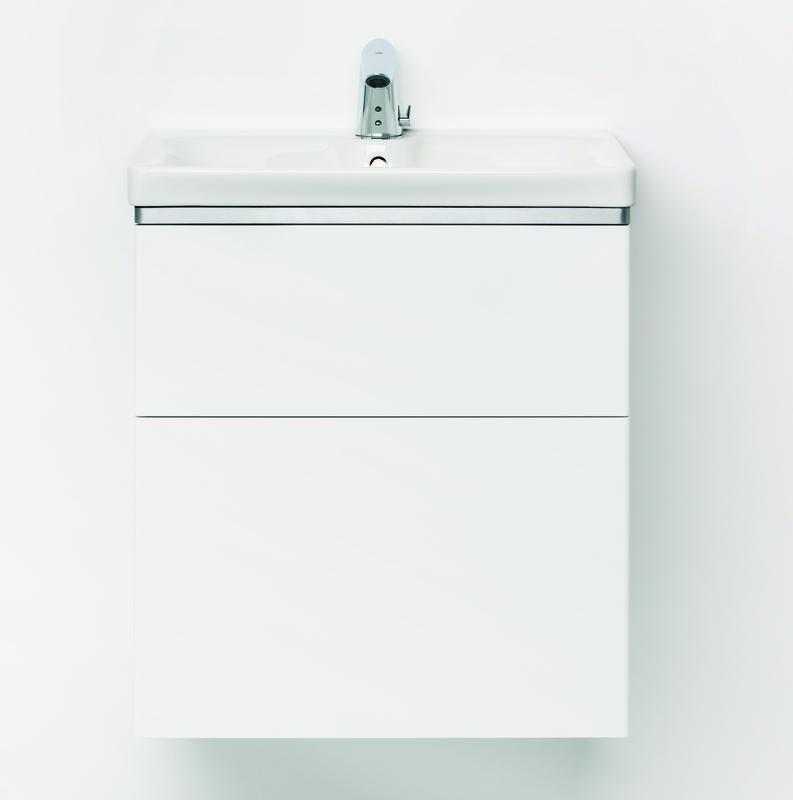 IDO Glow base cabinet with 2 soft closing drawers, 60 cm. Can be used with IDO Glow vanity top. Drawers can be opened either with a push-open function or with a handle. The push-open mechanism or elegant handle for drawers are to be ordered separately. The cabinet is made of moisture proof MDF and delivered already assembled. Colours: white and oak. Drawer mat and water trap with flexible drain hose included, Led lightning, power socket and drawer divider for bottom drawer can be ordered separatel as extra option.